The holidays are approaching. Love this time of year.... the parties, the stress, the deadlines. Looking for recipes or gift ideas... we've got you covered. 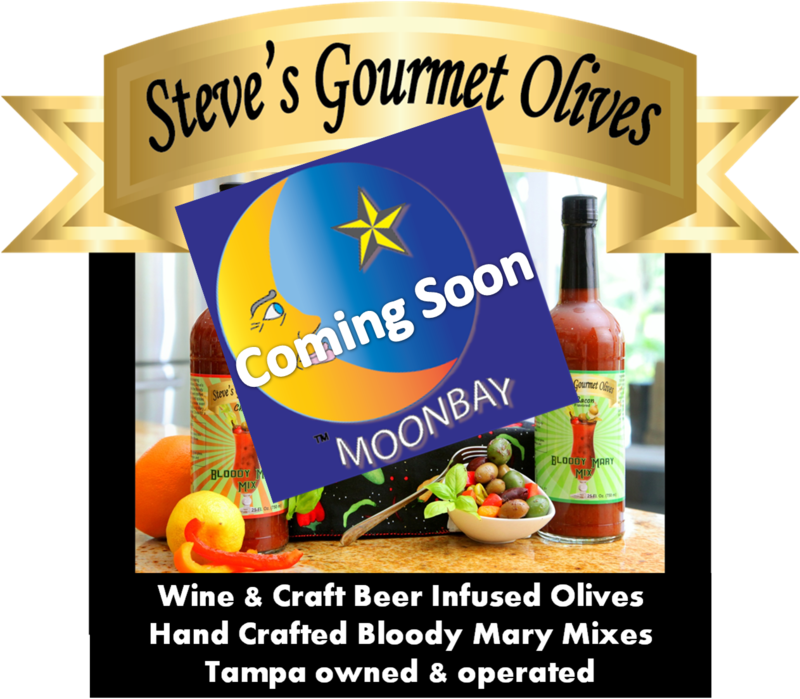 We are happy to announce that 3 more great local brands have joined Moonbay Gourmet. Along with Steve's Gourmet Olives, there are over 15 gourmet foods that will be available in a variety of gift sets this season. Join us at Tampa Bay Times Gift Market at the St Pete Coliseum Nov 19 & 20, 34th Annual Lutz Craft Show Dec 3rd & 4th, and Citrus Park Mall Kiosk Dec 20 - 22nd. 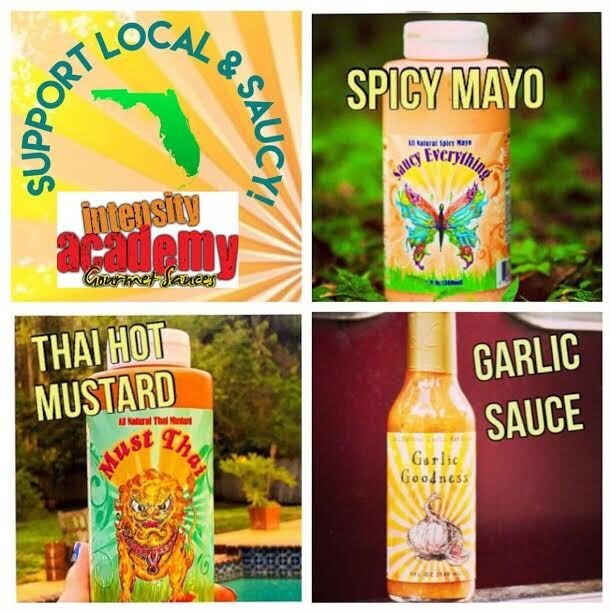 Intensity Academy sauces are all-natural, award winning gourmet and hot sauces. In the first 4 years of business, their products won 50 national awards. 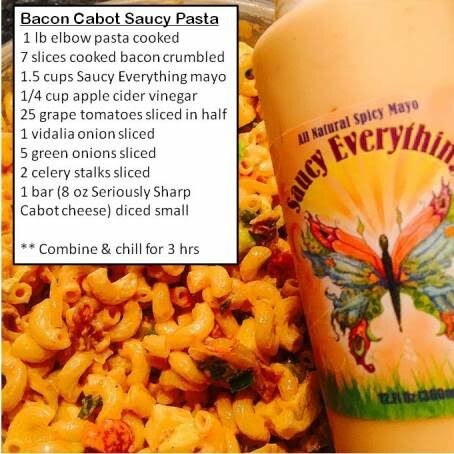 The product line consists of carrot based hot sauces and organic tea infused gourmet sauces. Created by The Saucy Queen, Michele Northrup, who has won numerous Working Woman of the Year and other awards. She is my mentor and has helped grow our business significantly over the last 2 years. 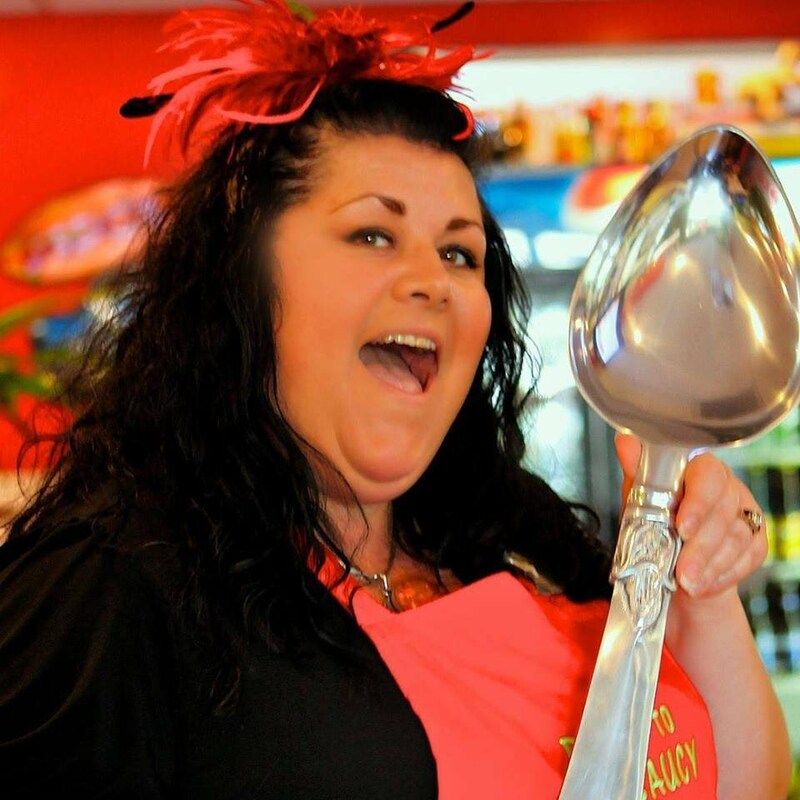 Her motto "Creating flavors to make the world a saucier place to live... one bottle at a time." 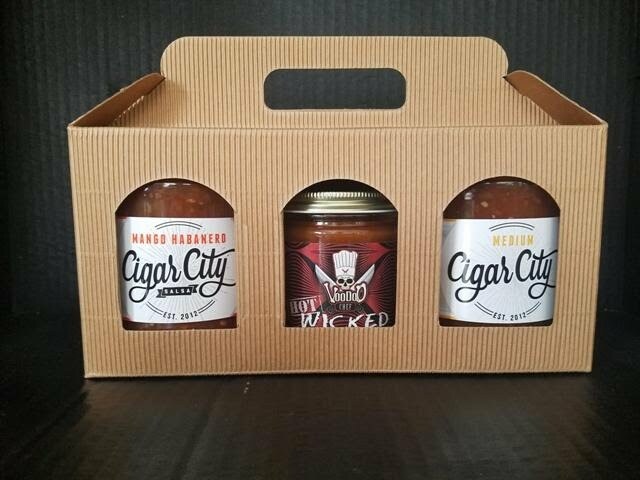 Cigar City Smoked Salsa is owned by a group of local friends & associates based in Tampa, FL. Made with only the finest, all-natural, fresh ingredients. All 5 flavors start with smoked tomatoes for a unique and delicious flavor. 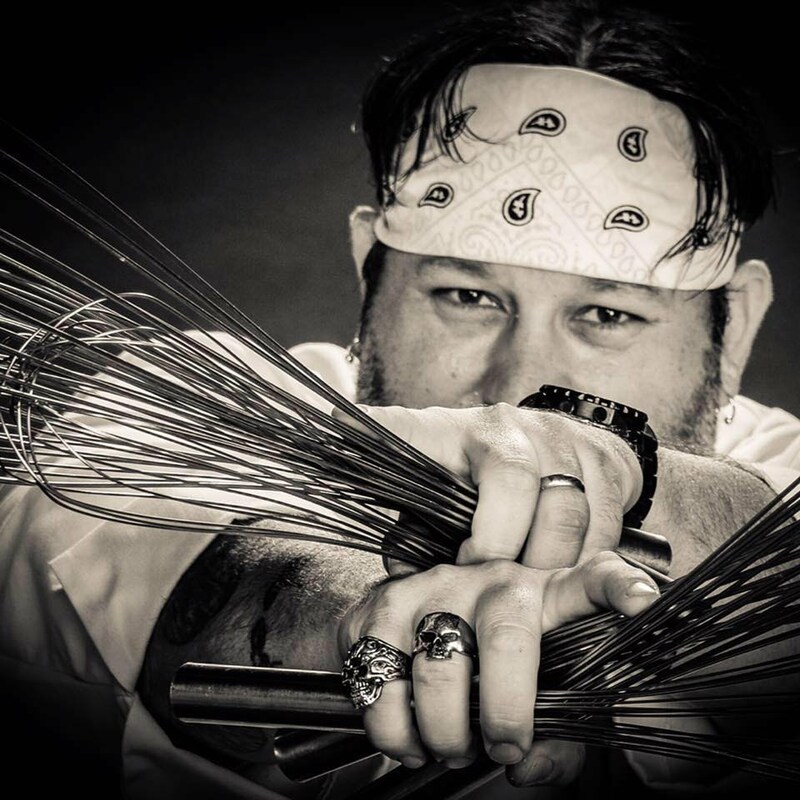 Intense products with bold flavors & labels, just like owner Chef Erik Youngs, the Voodoo Chef. He is a Culinary Arts Instructor at Chamberlain High School with deep roots in the culinary community. He is also the founder of the newest krewe in the Gasparilla community. Look for his float in the parade and help support his mission of feeding the hungry through his new Voodoo Krewe. Great gifts for those Foodies on your list. Five gourmet gift sets combining 15 local gourmet products starting at $18. Free gift box and no sales tax. These gift sets will be sold at numerous holiday events & shows during November & December. See the events schedule below. Great gifts for clients and associates too. Feel free to contact me directly, Susan Dodd, with any questions, 727 644-7500. Wed Nov 16 - HOLIDAY OPEN HOUSE, 5:30 - 7:30 pm, Bank of Ozarks, 110 South Blvd, Tampa 33606, join us for holiday shopping, good friends & good cheer. Free admission. All brands, gift sets. Sat & Sun, Dec 3 & 4 - 34th LUTZ CRAFT SHOW, 10 - 5 pm, Keystone Prep School, 18105 Gunn Hwy, Odessa, FL 33556, free admission, all brands, gift sets.